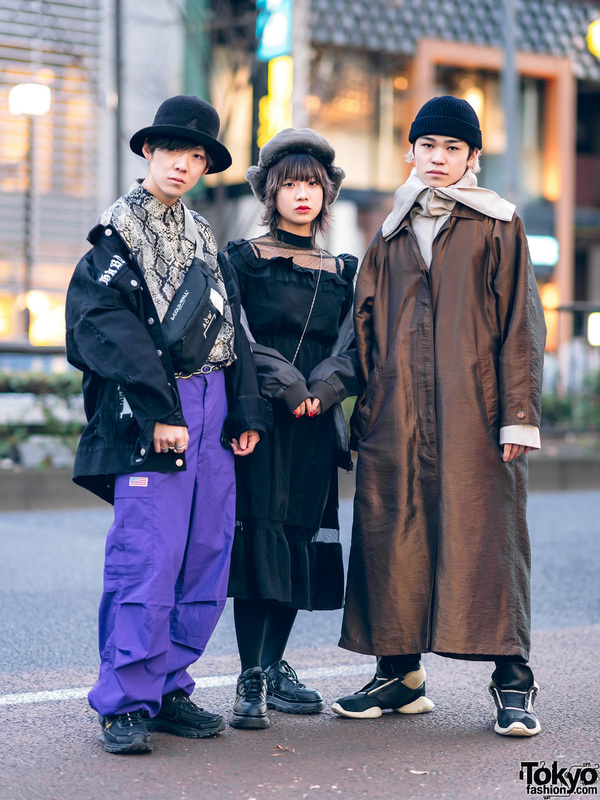 Fashion college student trio in Harajuku sporting individual casual streetwear styles while out and about on the street. 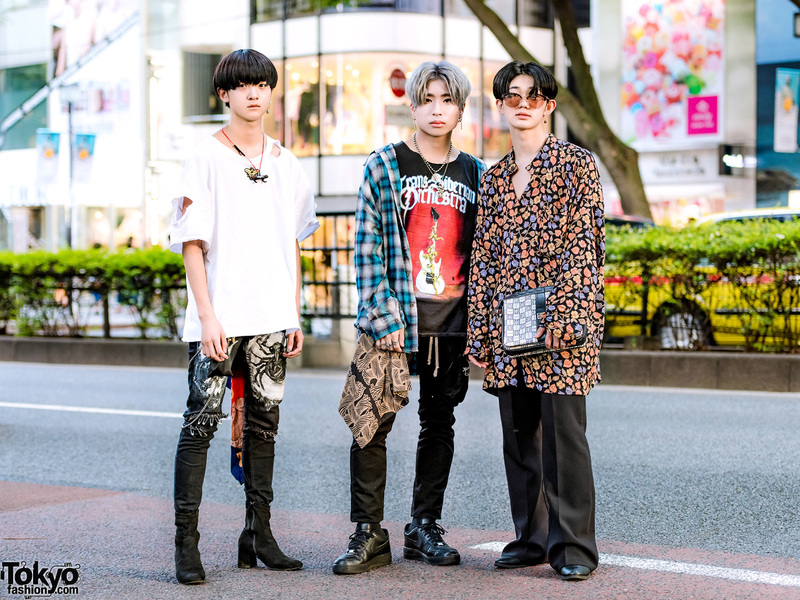 Harajuku girls wearing a mix of new and release street styles while out and about one evening. 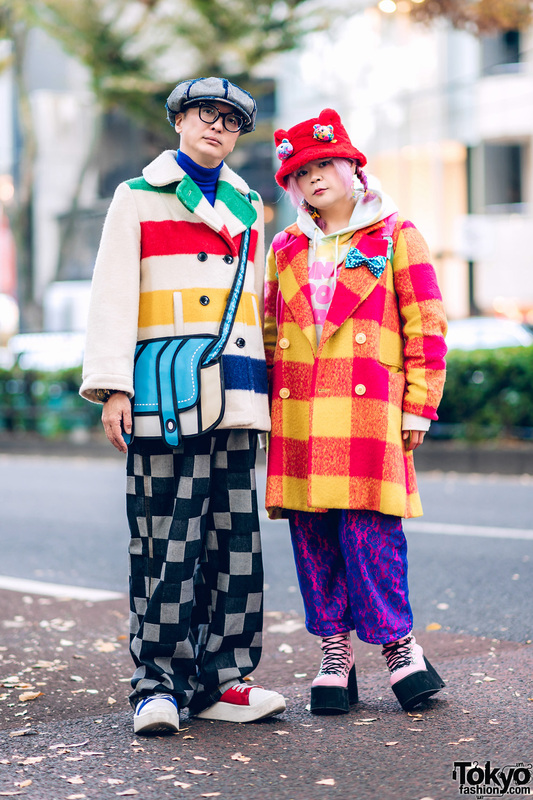 Harajuku aqua-haired girl sporting a handmade tie-dye ensemble w/ round handbag and colorful accessories.